If you’re looking for a new job in Milwaukee, you might have asked yourself what benefits a recruiting firm can offer you that a job board can’t. Job boards promise job-seekers a great deal of exposure for relatively little work, and their cost is typically minimal, sometimes even free. It may be true that those job boards will give your resume a great deal of exposure, but what is the value of that exposure? Sure, they place your resume in a database that is accessible to hundreds or maybe even thousands of companies, but they do nothing to highlight you as an individual candidate. Your resume is just one more in a giant stack that each employer has to sift through, and you’re likely to spend a good deal of time answering emails and phone calls from employers whose open positions are not a fit for you. Working with a recruiting firm offers a more efficient way to find a quality job. Jobs That Are Never Listed – The number of companies working with recruiting firms to find the best candidates is rising, because like you, those companies don’t want to waste time by relying on the sketchy matching algorithms of a job board. The best jobs and the top companies are not on the job boards, and you’ll only find those positions and companies by working with a recruiting firm trusted by those companies to bring them the right candidates for their jobs. 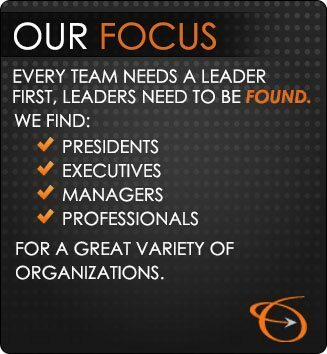 Teamwork – When you work with a recruiting firm to find a job, your interests and theirs align: your win is their win. When you work with a recruiting firm, they’ll help you with everything from your resume to interview prep, because their job is to place top candidates like you with their client companies, and those clients pay when you get the job. When a recruiting firm sends you on an interview with one of their clients, they actively market you to that company and build a favorable impression of you with the hiring managers before you ever walk in their door. Can a job board do that? Get Help Negotiating – If you’ve successfully interviewed for a job through a recruiting firm and you get an offer, there may be some points you want to negotiate. Your recruiter already has a relationship with the company making you an offer so they can help you in your negotiations, because they know how that company deals with salary and benefits, and they can help prevent either side from making a deal-breaking mistake in discussing a hiring agreement. When it’s time to look for a new job, you want to know that you’re getting access to the best positions and companies out there, and it’s definitely in your best interest to go into those companies with a personal introduction from someone they trust. The Lawler Group has more than 40 years of experience in the Milwaukee job market, and they’ve built their reputation by placing the right people in the best companies. Contact us to discuss your job search, and see for yourself why working with a recruiting firm is a much better deal than going through a job board.